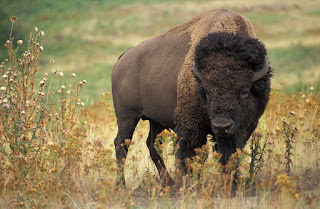 Bison are large, even-toed ungulates in the genus Bison within the subfamily Bovinae. Two extant and six extinct species are recognised. Of the six extinct species, five went extinct in the Quaternary extinction event. Bison palaeosinensis evolved in the Early Pleistocene in South Asia, and was the evolutionary ancestor of B. priscus (steppe bison), which was the ancestor of all other Bison species. From 2 MYA to 6,000 BC, steppe bison ranged across the mammoth steppe, inhabiting Europe and northern Asia with B. schoetensacki (woodland bison), and North America with B. antiquus, B. latifrons, and B. occidentalis. The last species to go extinct, B. occidentalis, was succeeded at 3,000 BC by B. bison. 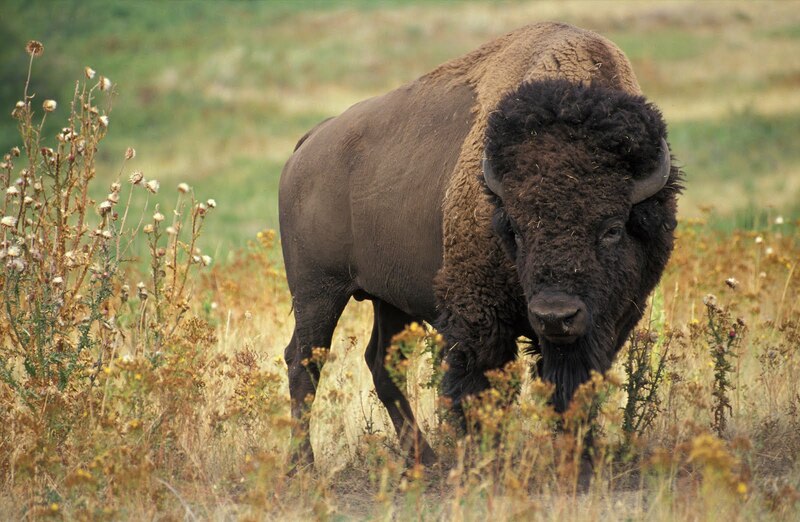 Female bison typically do not reproduce until three years of age and can reproduce to at least 19 years of age. Female bison can produce calves annually as long as their nutrition is sufficient, but will not give birth to a calf after years where weight gain was too low. A mothers’ probability of reproduction the following year is depends strongly on mother mass and age. Heavier female bison produce heavier calves (weighed in the fall at weaning) than light mothers, while the weight of calves is lower for older mothers.